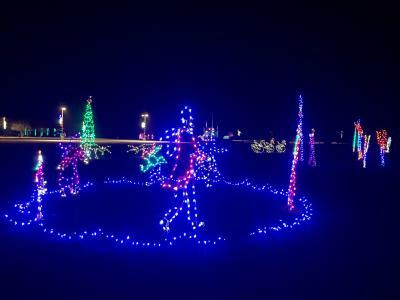 The holiday season is now in full swing and there are tons of fun things to do this weekend in Hendricks County, Indiana. Here are just a few fun events coming up this weekend. As always, be sure to check our Events Calendar anytime for a more extensive list of things to do. Head over to Guilford Township&apos;s Hummel Park in Plainfield from noon to 4 p.m. on Saturday for the annual Hometown Holiday event. This event will include train rides on the trail, a petting zoo, a giant snow globe, pony rides, cookies, hot chocolate, horse-drawn wagon rides, indoor ice skating, music, prize giveaways and photos with Santa. The Hendricks County Extension Homemakers and Hendricks Power Cooperative will host the 2018 Holiday Fest from 9 a.m. to 3 p.m. Friday at the Hendricks County 4-H Fairgrounds & Conference Complex. This event will include a cookie walk, craft booths, entertainment, and lunch from 11 a.m.-1 p.m. Admission is free. For more information, click here. Strides to Success in Plainfield is hosting its annual Christmas with Santa and the Ponies event from 4:30-8:30 p.m. Friday and Saturday. 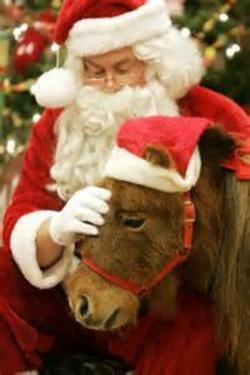 Step inside the heated barn for a photo with Santa. Visit the ponies, play some games and enjoy some holiday refreshments. Admission is $25 per family. Enjoy the town tree lighting at 6 p.m. Friday or breakfast with Santa beginning at 8 a.m. Saturday during North Salem&apos;s Old Fashion Christmas. Other fun activities will follow Saturday and the celebration will conclude with a chili cook-off at 4 p.m.
Do you miss the summer farmers market? Well, I have good news. There are still many vendors who set up at the Hendricks County 4-H Fairgrounds & Conference Complex during the winter months. The Winter Farmers Market kicks off for the season this Sunday from 2-5 p.m. where you can find great food and crafts. So, go out there and make the most of this weekend.